Pepperdine Graziadio School of Business and Management and the Center for Women in Leadership, in partnership with highly acclaimed international women's executive leadership organization C200, will host the Women in Leadership Reachout Conference at Drescher Graduate Campus in Malibu on Tuesday, February 13, from 9:30 AM to 3:30 PM. The conference will commence with a welcome message from Bernice Ledbetter, director of the Center for Women in Leadership and Graziadio School professor, as well as opening remarks from Larraine Segil, past chair of the Foundation and Scholar Network for C200. C200 fosters, celebrates, and advances women's leadership in business. The organization includes more than 400 of the world's most successful women business leaders, ranging from the C-suite of the world's best-known companies to trailblazing entrepreneurs. C200 members act as role models to ensure women will continue to take increasingly significant and visible leadership roles in the marketplace. 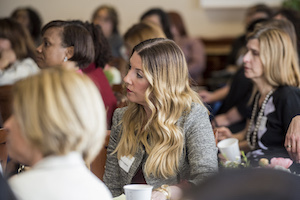 The Center for Women in Leadership aims to unite and expand the University’s community of women thought leaders through engagement, development, and participation in an important dialogue. The center continually develops programs that serve all of the women of Pepperdine—students, staff, and faculty. Admission is free and registration is required to attend. For additional information about the Women in Leadership Reachout Conference, and to register to attend, visit the Center for Women in Leadership website.